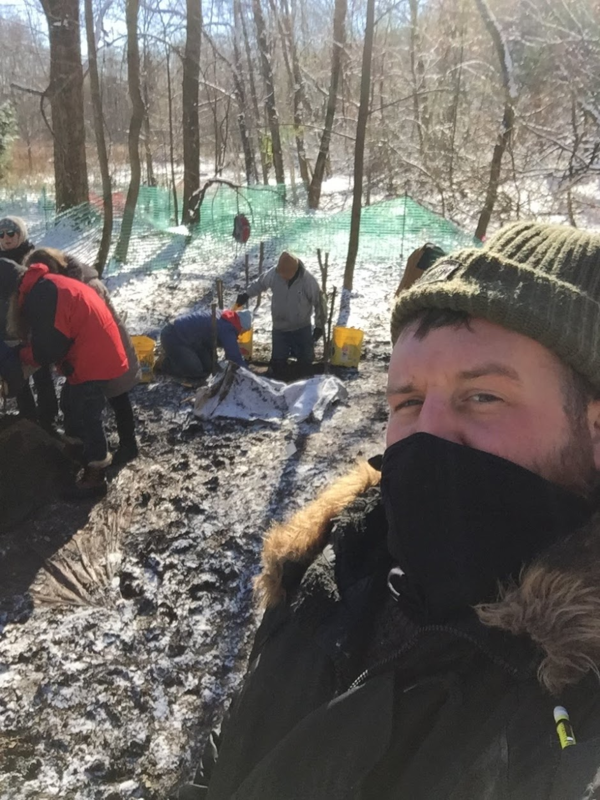 Assistant Professor of Art History and Emile H. Mathis Gallery Director David Pacifico recently lead an excavation in and around the barn at the Cappon/deSwarte farmstead, circa 1850-1890. Located about 100 yards from Lake Michigan on the present-day Schlitz Audubon Nature Center, the farmstead was the residence and workplace of some of Milwaukee’s earliest Dutch settlers. Participants were many and diverse, including undergrads and grad students from UWM, Marquette, and University of Chicago, high school students from Shorewood and Oak Creek, an MPS teacher, a trustee of the Archaeological Institute of America, and direct descendants of the de Swarte family, among others. 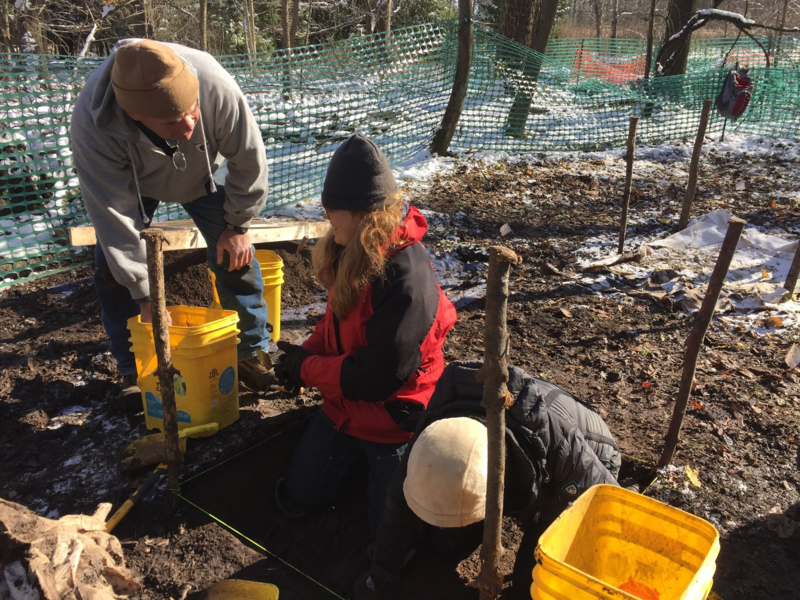 Dave looks on as MPS teacher Laurel Heebsch (center, in blue) and Larry Arrowood (in unit) excavate. 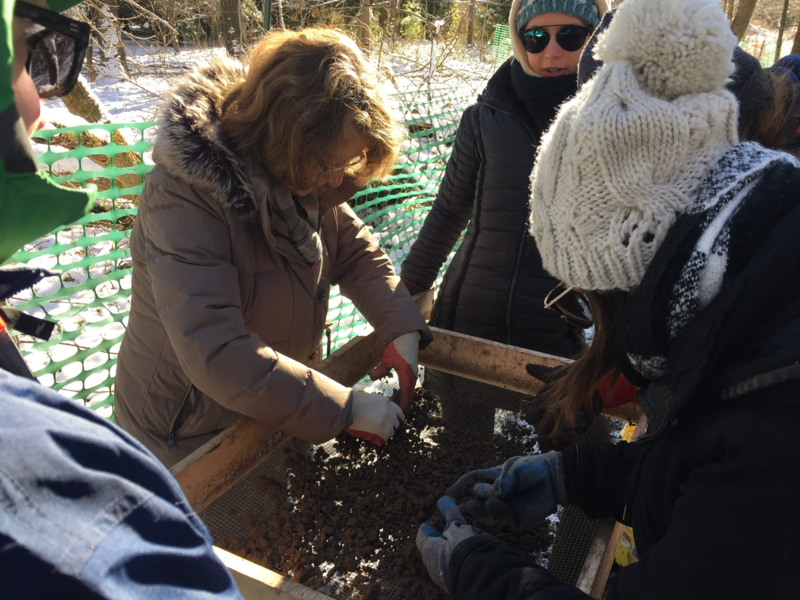 Art History major Riley Rockford (far left in sunglasses) and Oak Creek High student Carley Arrowood (left in red) sift the dirt for artifacts. Oak Creek High Student Carley Arrowood (Center), her father Larry (left) and Art History major Riley Rockford (in hood) excavate just outside the barn at the 19th century Cappon/de Swarte farmstead at Schlitz Audubon Nature Center. 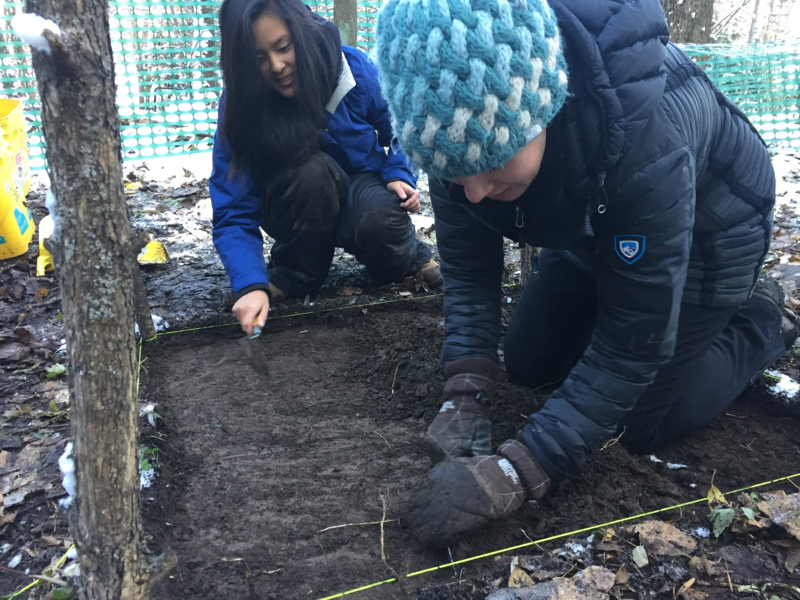 Riley Rockford (front) and Noel Hincha (Marquette undergrad) excavate outside the 19th century barn at the Cappon/deSwarte farmstead on Schlitz Audubon Nature Center’s Property.